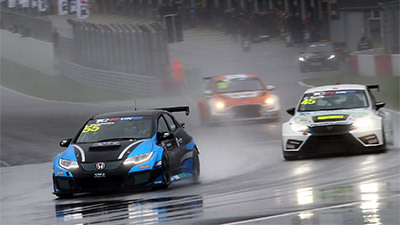 Pictured Professional performance from Charlie Fagg on first visit to Red Bull Ring. 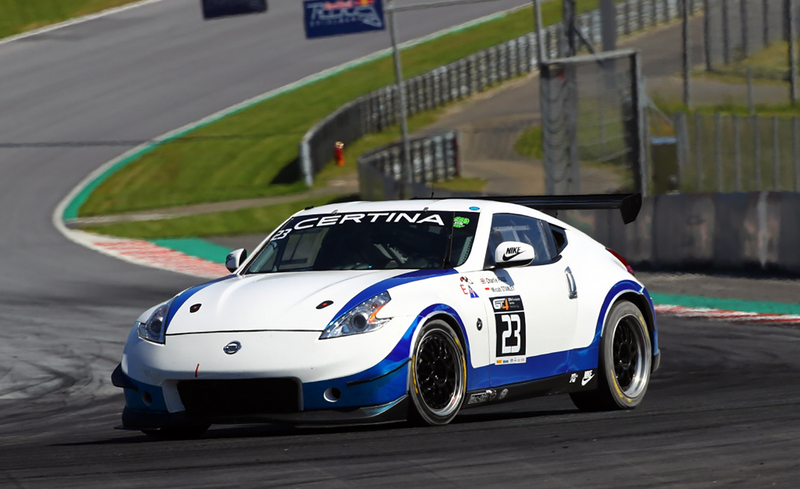 Professional performance from Charlie Fagg on first visit to Red Bull Ring. Front-running GT4 European Series Northern Cup team SWR encountered two challenging races at the Red Bull Ring in Austria over the weekend, 10th/11th June, but departed the track buoyed by the terrific teamwork displayed during a less-than straightforward third event of the 2017 season. Notable as the first event featuring 16-year-old car racing rookie Micah Stanley, partnering SWR’s rapid regular driver Charlie Fagg, the race meeting began well for the duo with a good qualifying performance in the wet to secure fourth and third in the Pro-Am class for rounds five and six. Fagg took the opening stint of race one on Saturday and although caught-up in some contact on the opening tour, the 17-year-old’s progress wasn’t hindered. Shortly after, though, misfortune struck when the Durham driver had to pit the Nissan due to an unrelated oil leak which ultimately led to a disappointing retirement. 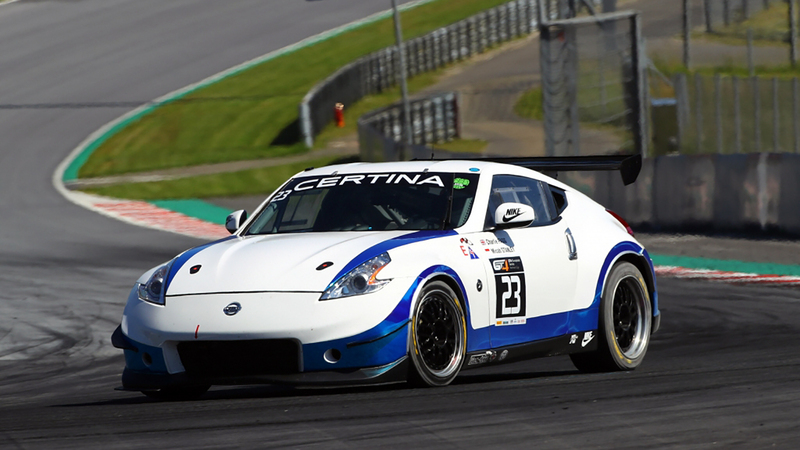 Following an outstanding effort by the SWR crew overnight on Saturday to make required repairs and change the car’s differential, the No.23 Nissan lined-up for round six with Stanley at the wheel for his first ever racing mileage in cars and his performance exceeded his lack of experience. 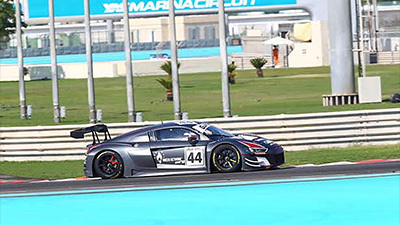 Although slipping down the order to near the tail of the field after the mid-race pit stop, when Fagg took over from the Monaco-based driver he charged through into an eventual top 20 finish overall and sixth in the Pro-Am class. “It wasn’t a straightforward weekend for us but the team worked really hard and Charlie did a very professional job”, said team principal Ken Page, “He was especially good with the high air and track temperatures in the races which meant there some issues with the brakes, he did all the right things to counter that and showed how quickly he’s becoming a very proficient GT driver. Fagg was confident more would have been possible in the opening qualifying on Saturday morning, which took place on a damp track following overnight rain, as he was baulked on his quickest lap but 11th overall and fourth in Pro-Am was still a good result. 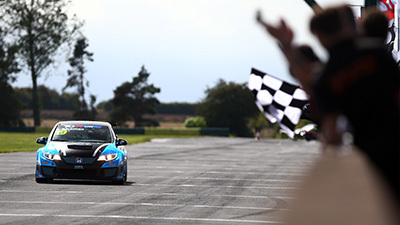 In the drier, but still damp, second session Stanley went on to deliver an impressive showing on his first truly competitive run in a GT4 car – in fact a race car of any description – with the 14th best lap on his final tour, third in Pro-Am. Race one on Saturday began well for Fagg, remaining in the battle just outside the overall top 10 and aiming to make significant progress, but the subsequent retirement put paid to those hopes. 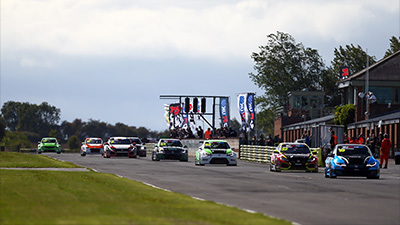 With a fully repaired car for round six on Sunday, which took place with track temperatures exceeding 40 degrees Celsius, Stanley prepared to embark on his first ever race start and racing mileage in a car. Doing a sterling job at the beginning, the former kart racer held station initially and although shuffled down to 25th position overall prior to the driver-change stop, he performed well on his car racing debut. Fagg joined the race in 28th position with a huge amount of work to do but he instantly punched in some very quick lap times and charged through the order. With large gaps between the cars meaning Fagg faced a tough challenge to make up any ground, he managed to break into the top 20 before the finish and took sixth in Pro-Am. Next on the GT4 European Series Northern Cup calendar is a visit to the Slovakiaring near Bratislava over the weekend 15th/16th July.